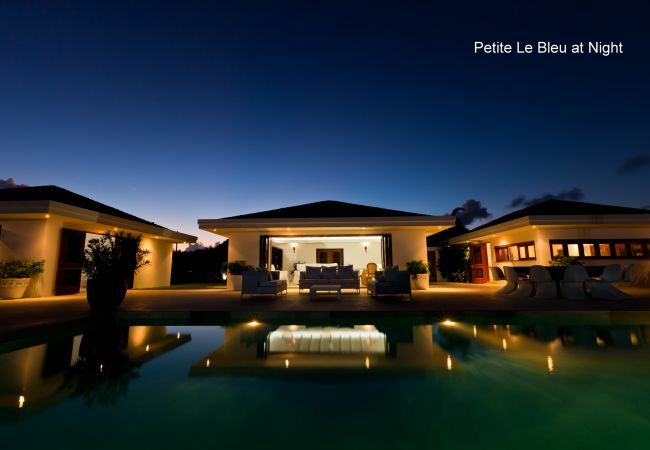 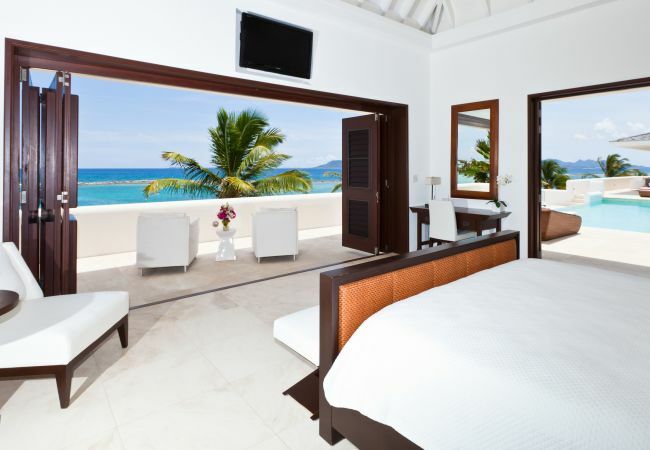 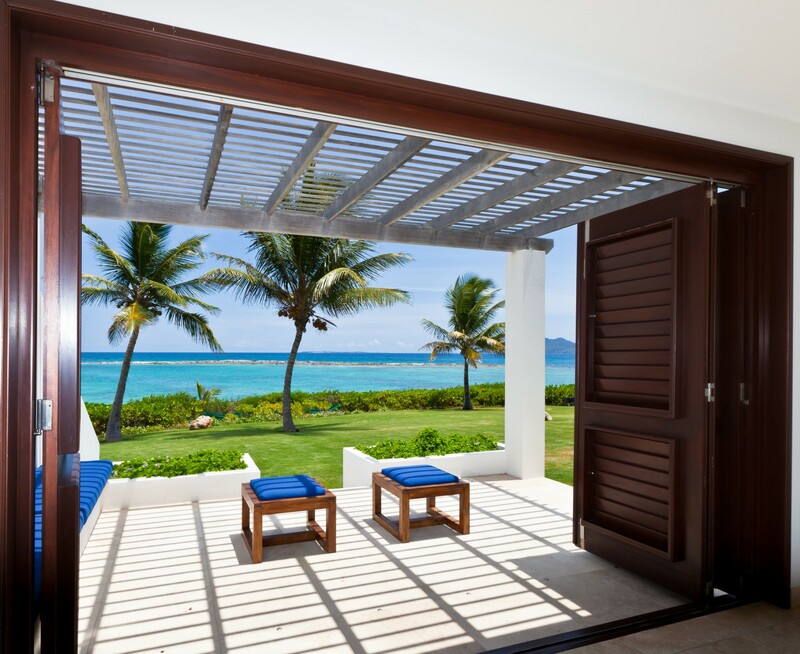 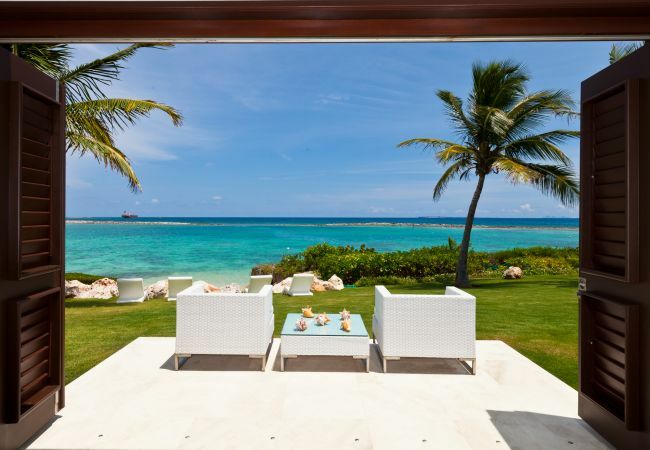 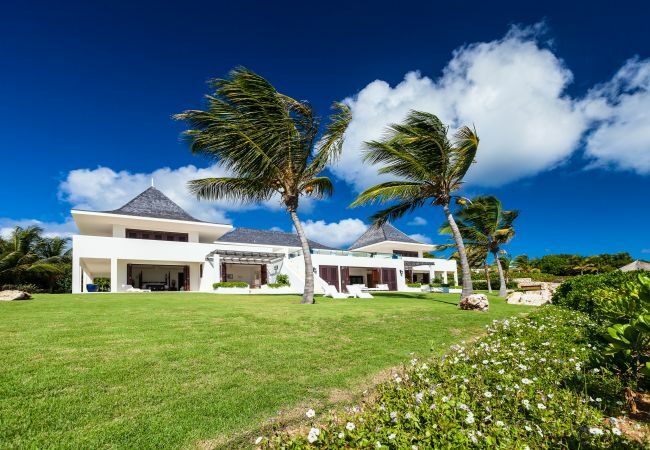 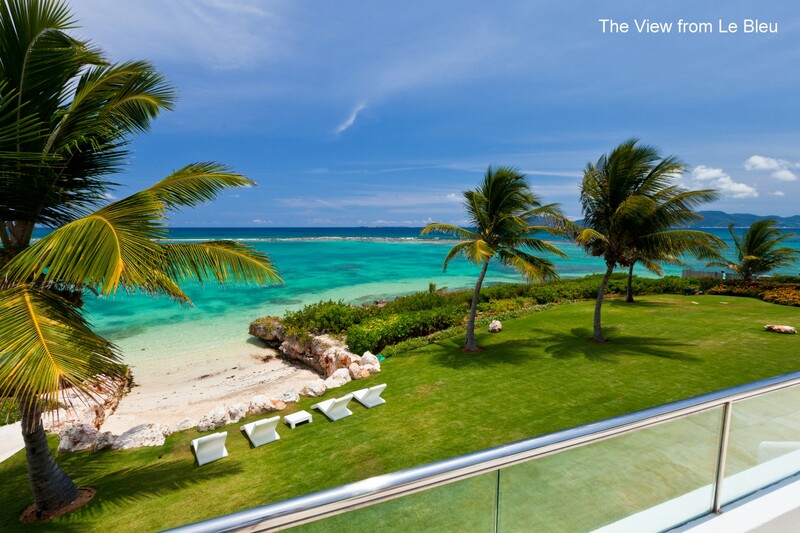 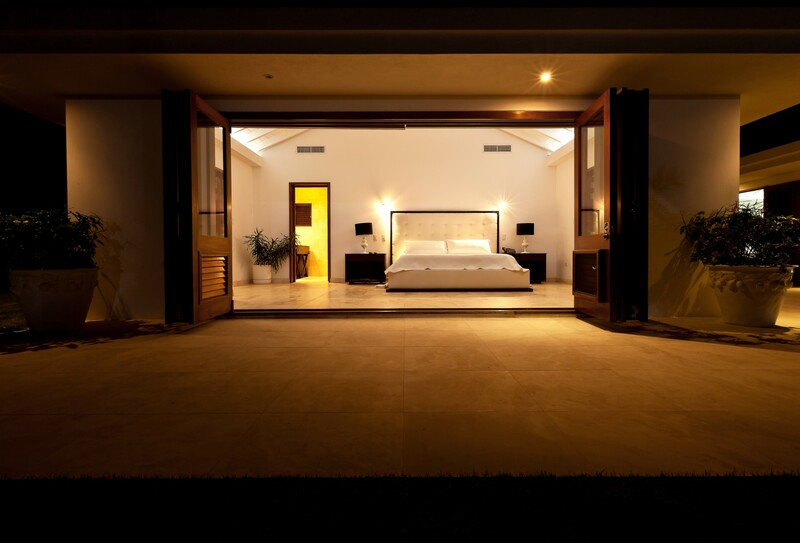 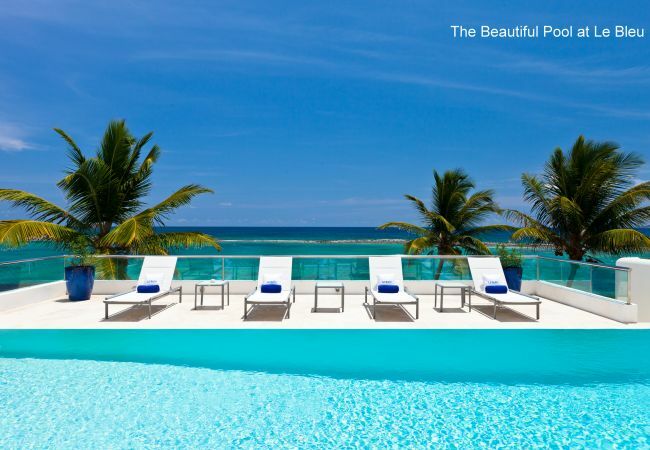 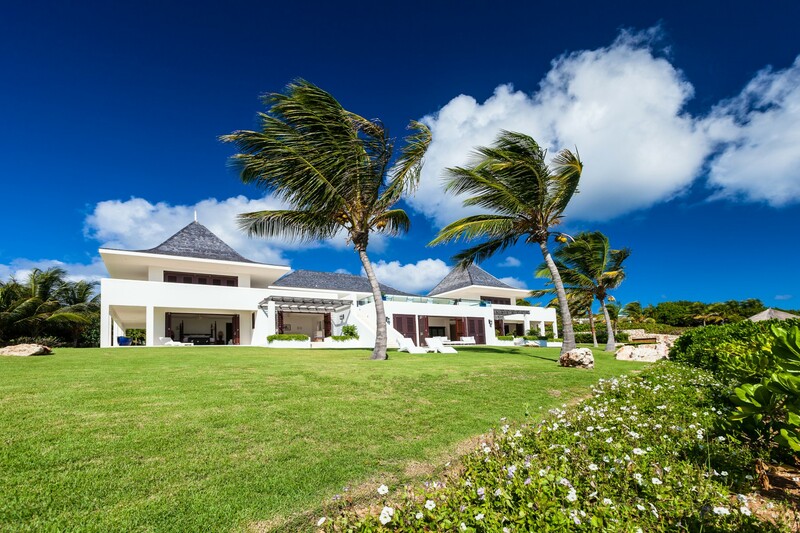 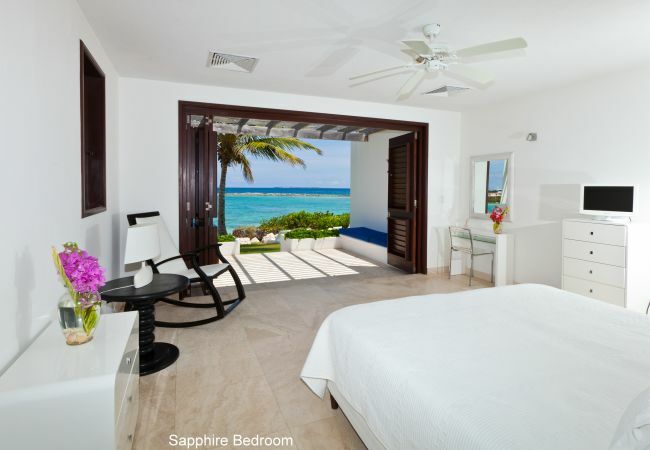 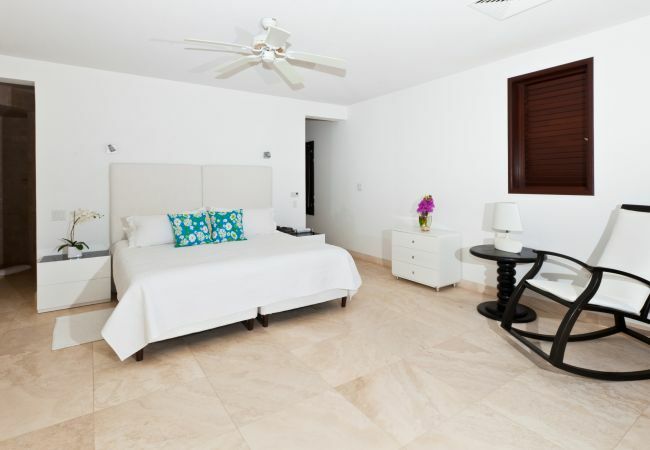 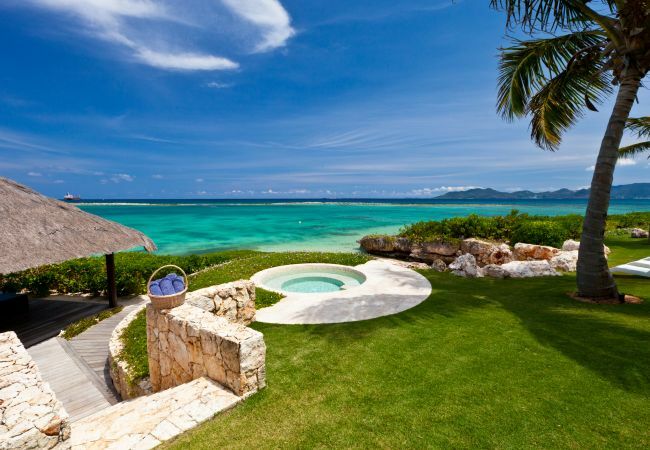 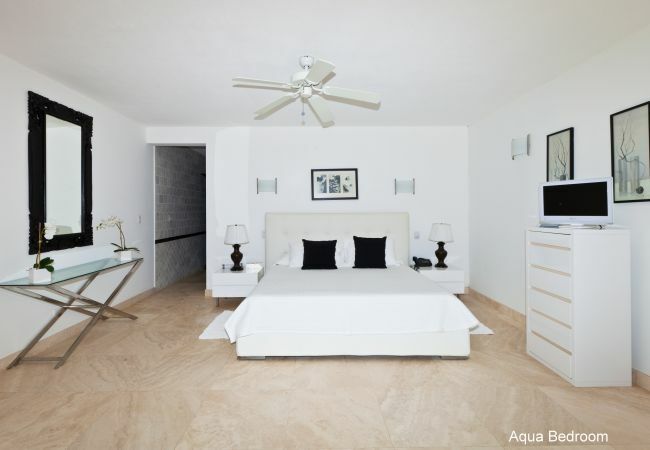 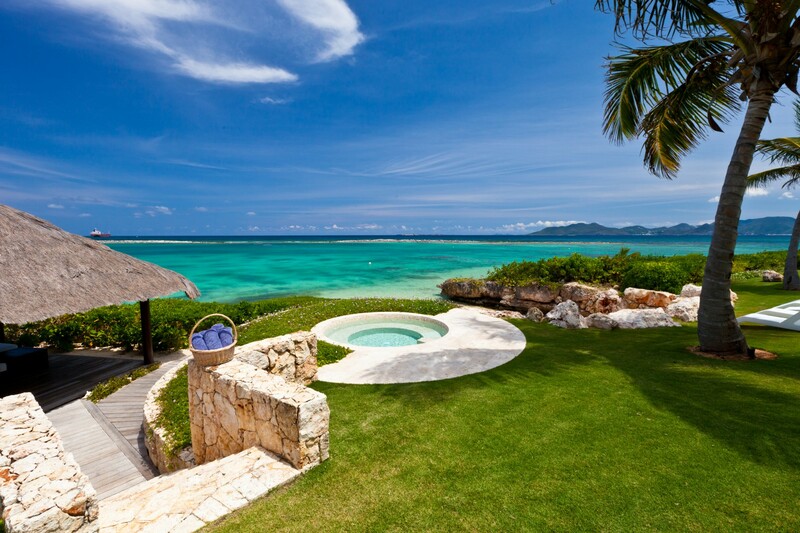 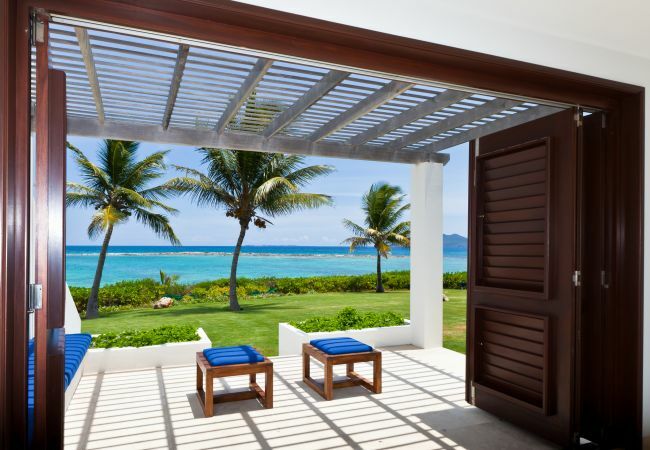 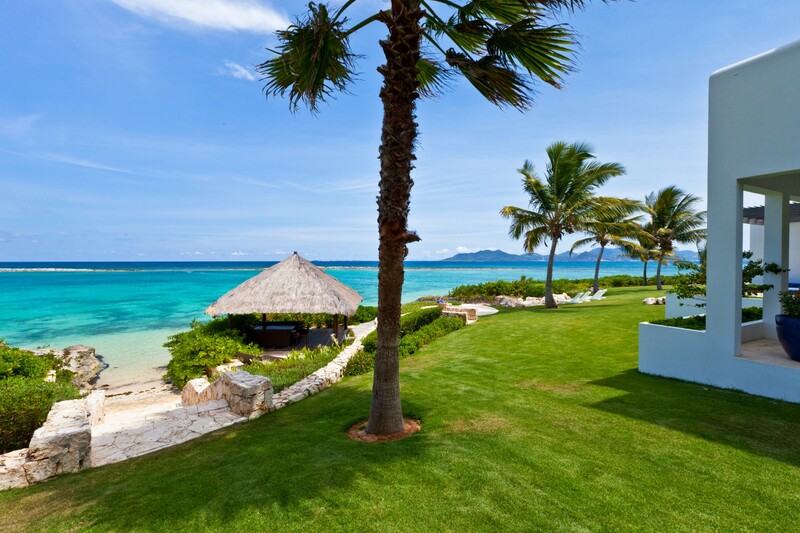 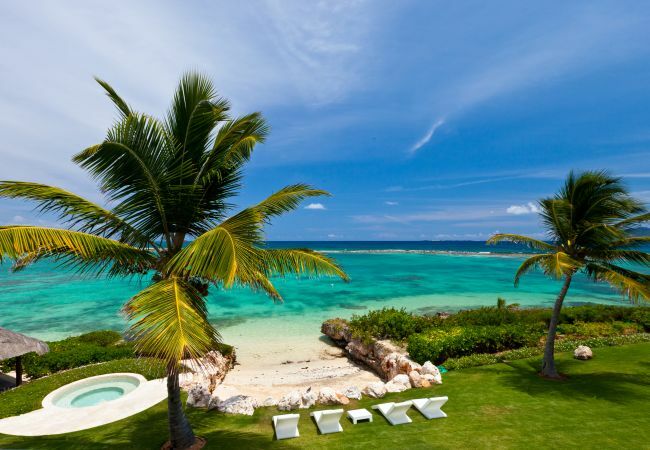 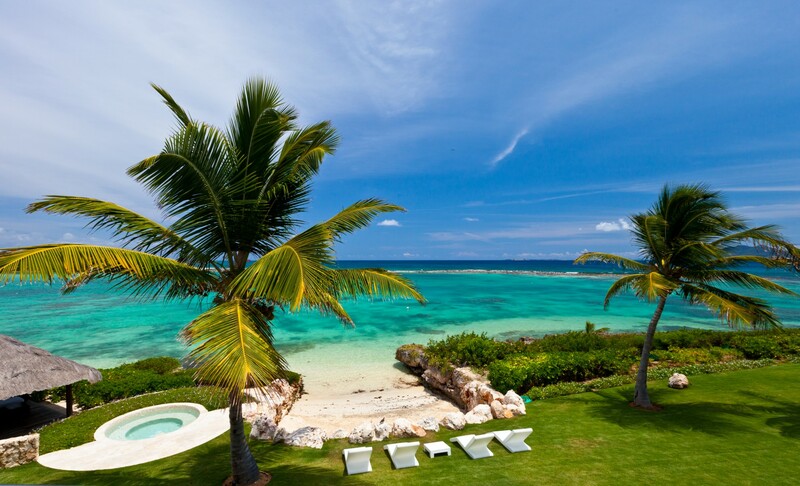 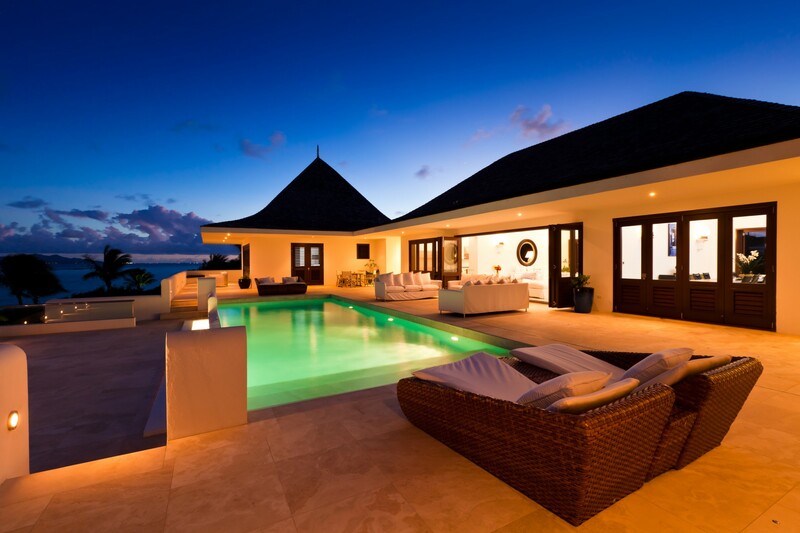 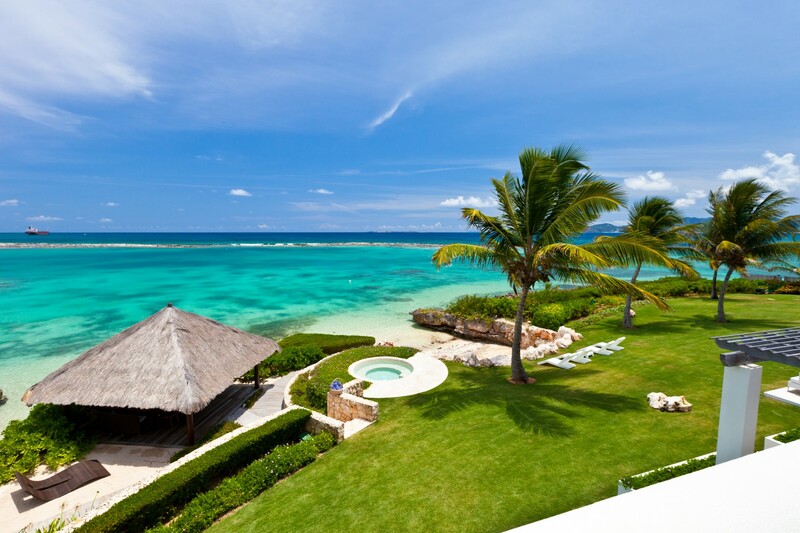 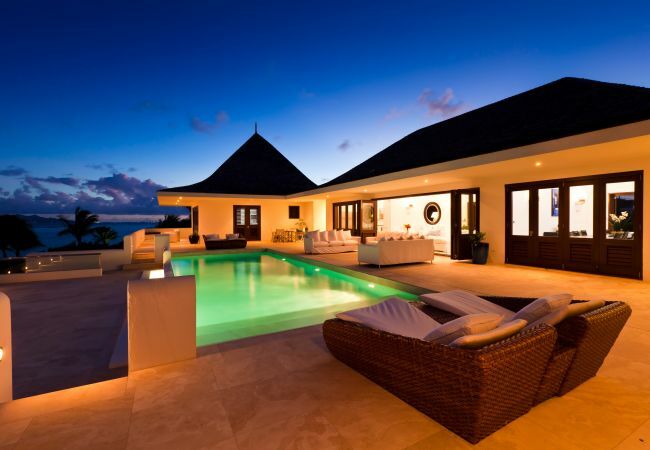 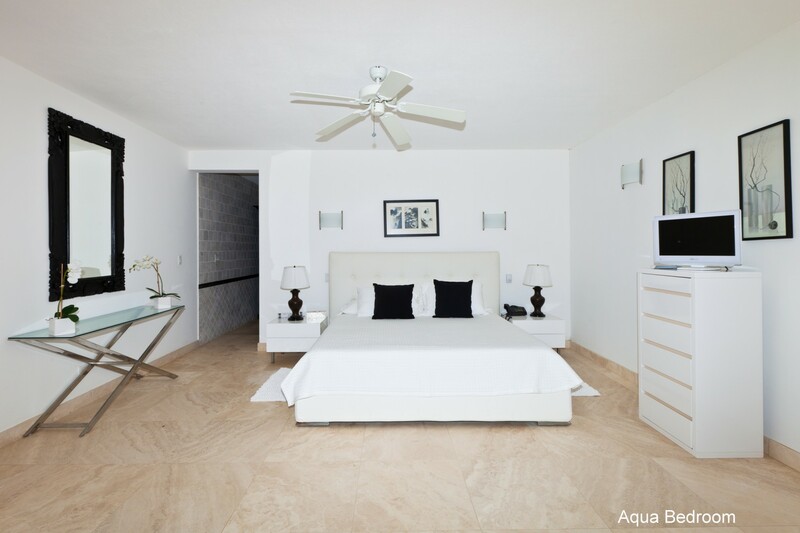 Le Bleu is a glamorous new villa in Anguilla. 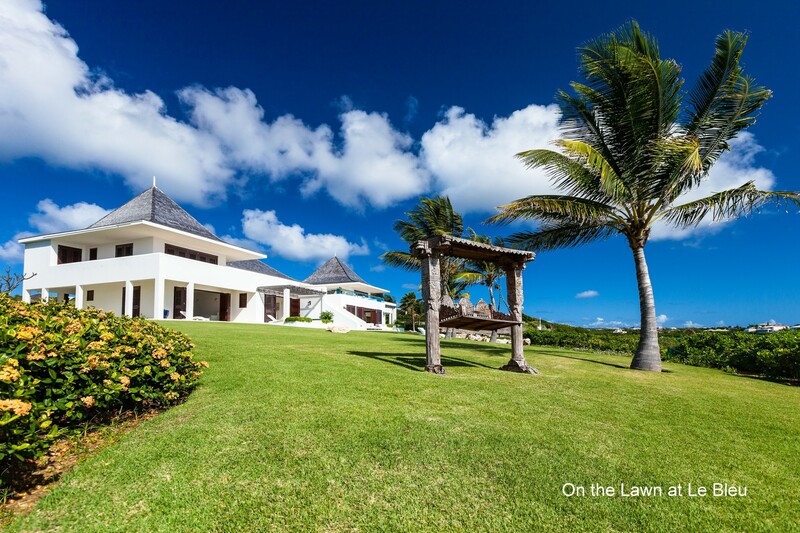 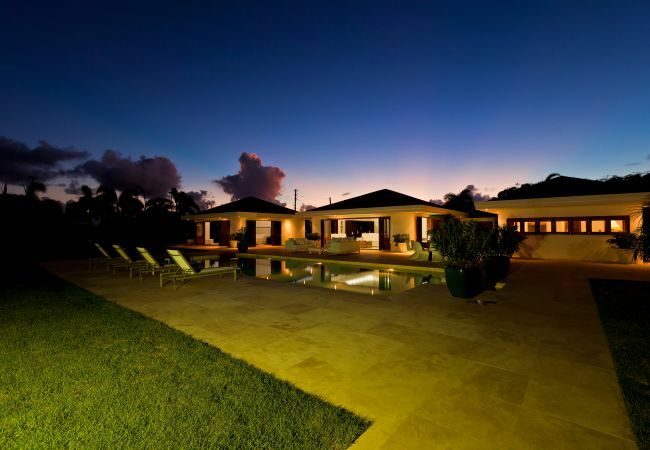 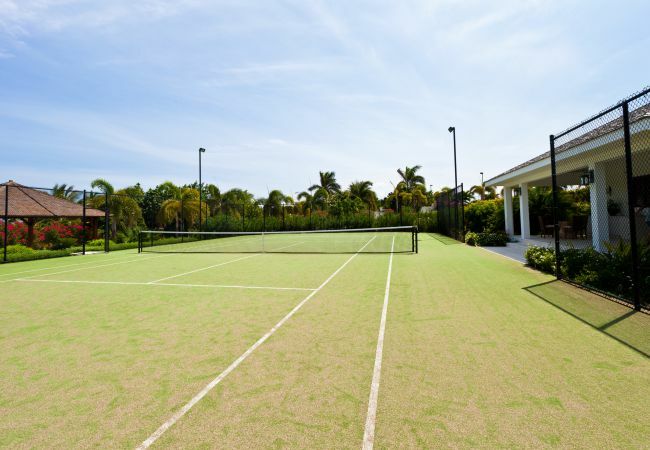 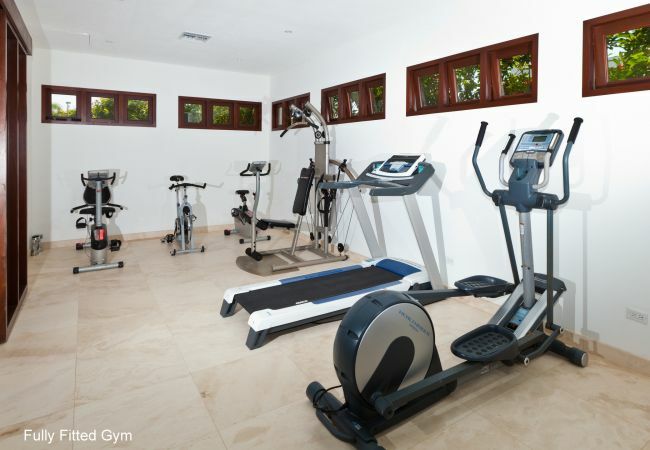 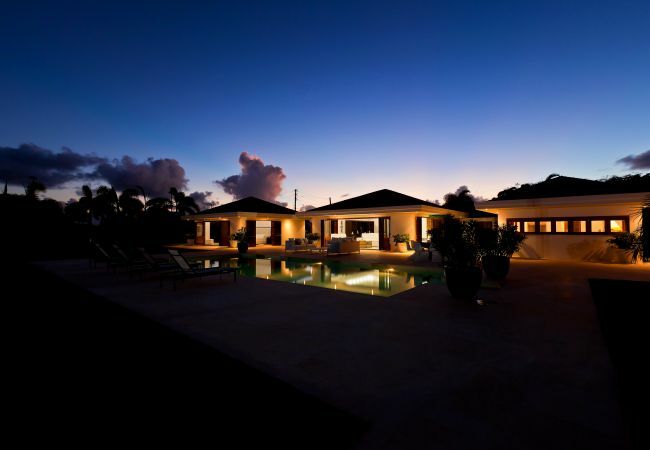 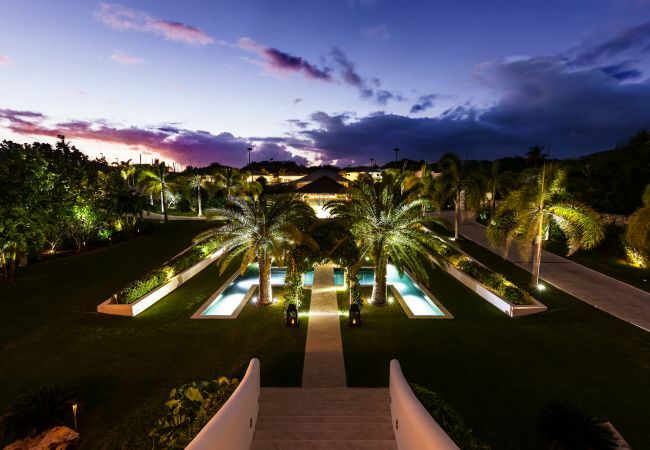 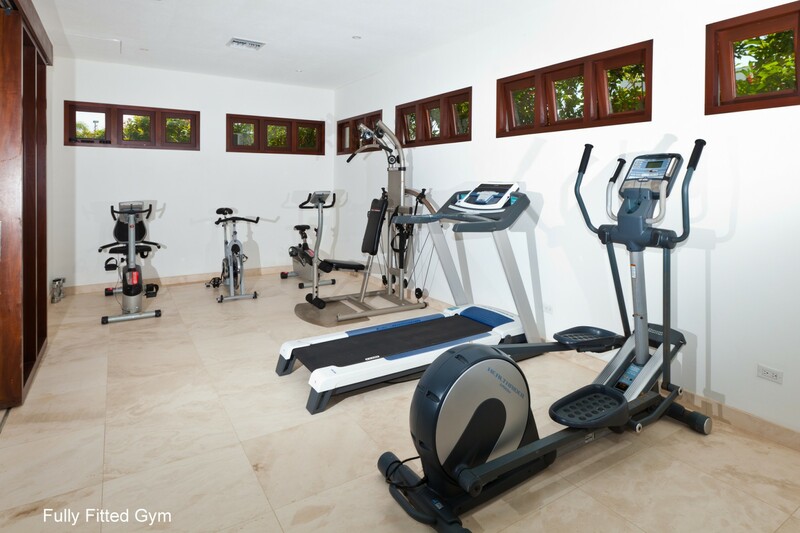 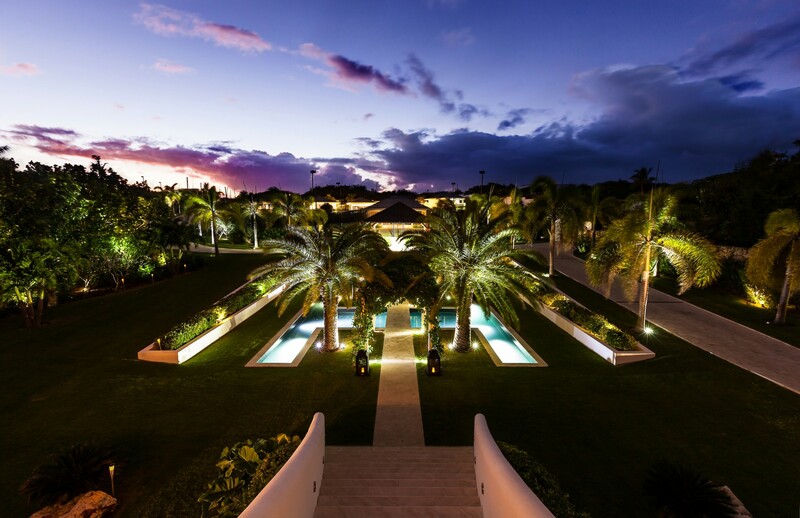 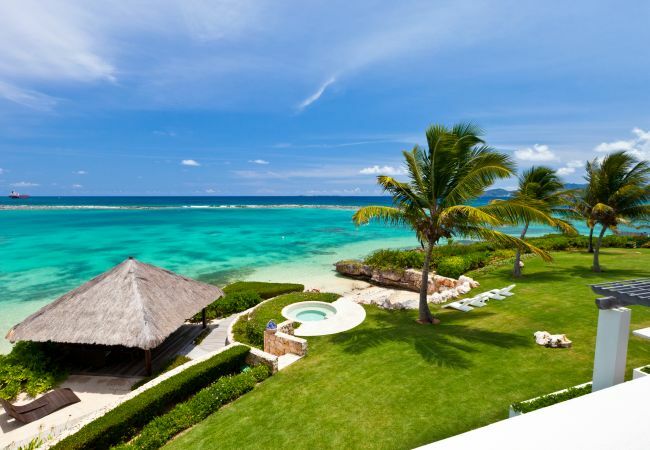 This 10 bedroom villa (all en-suite) is located in approximately 2.5 acres of beautiful tropical gardens with two swimming pools, two small natural beaches, beach pavilion, tennis court, gym, personal cinema and beautiful water garden. 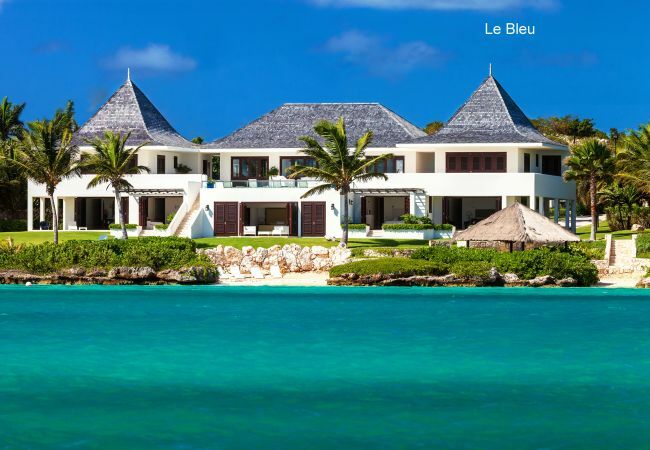 Le Bleu is unique in both location and design. 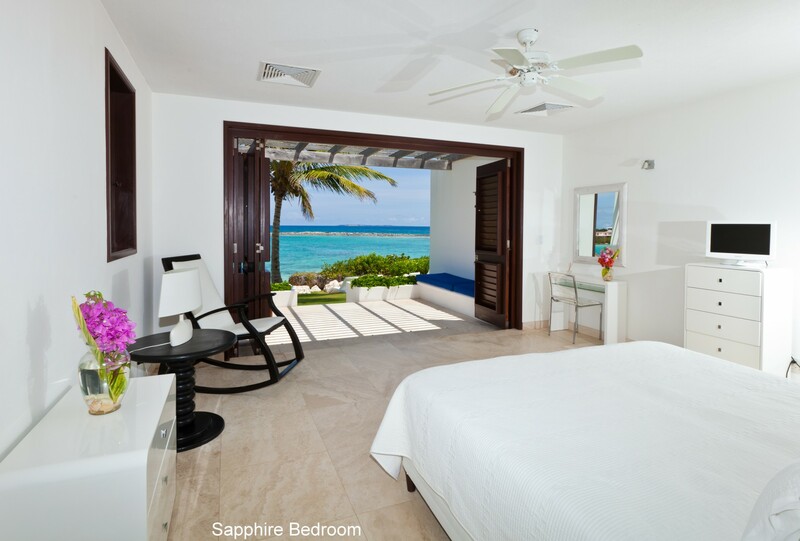 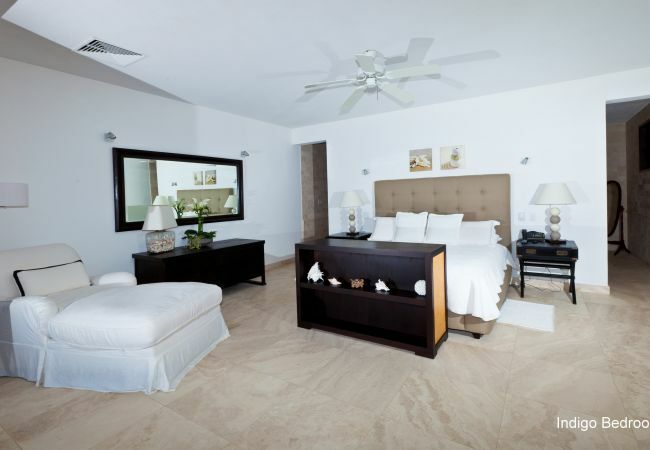 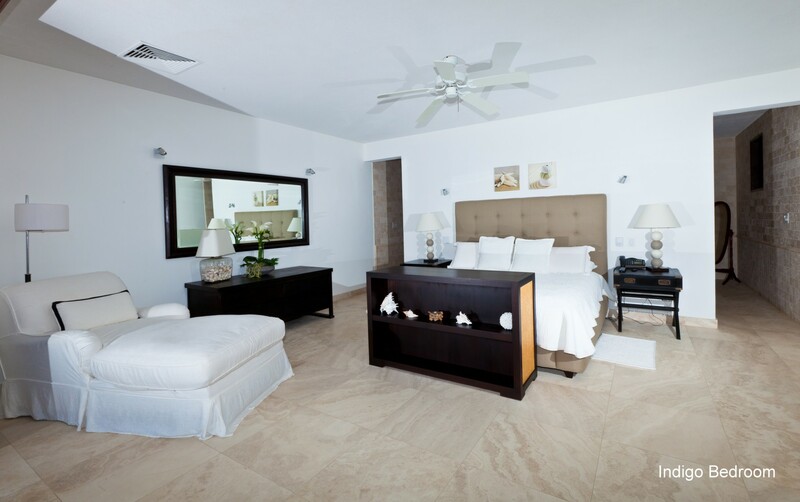 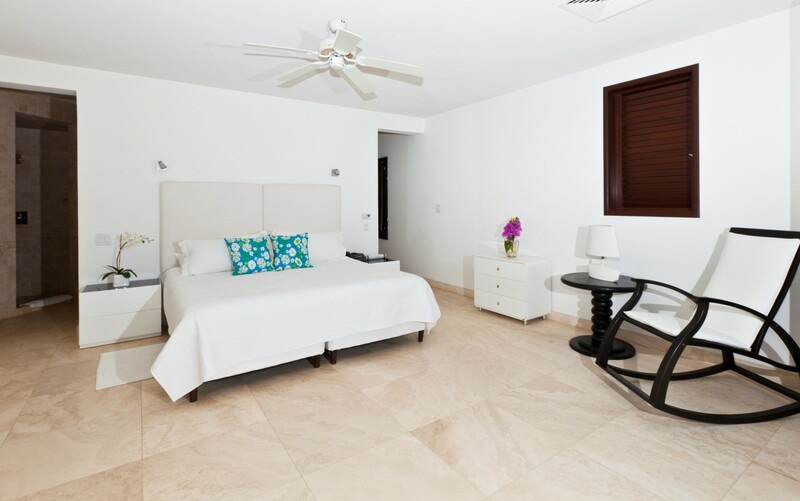 Spacious and modern – the experience it provides is one of fresh air, blue skies and the myriad colors of the sea. 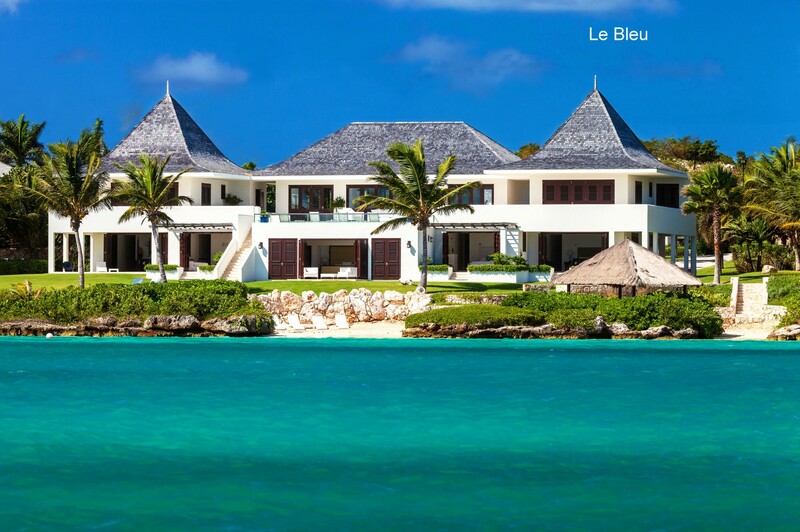 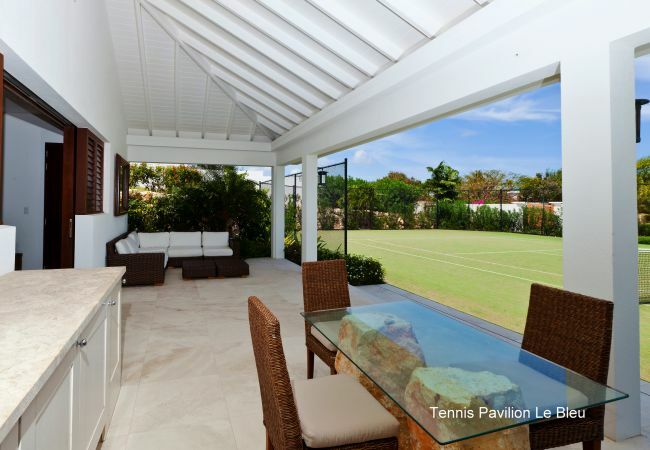 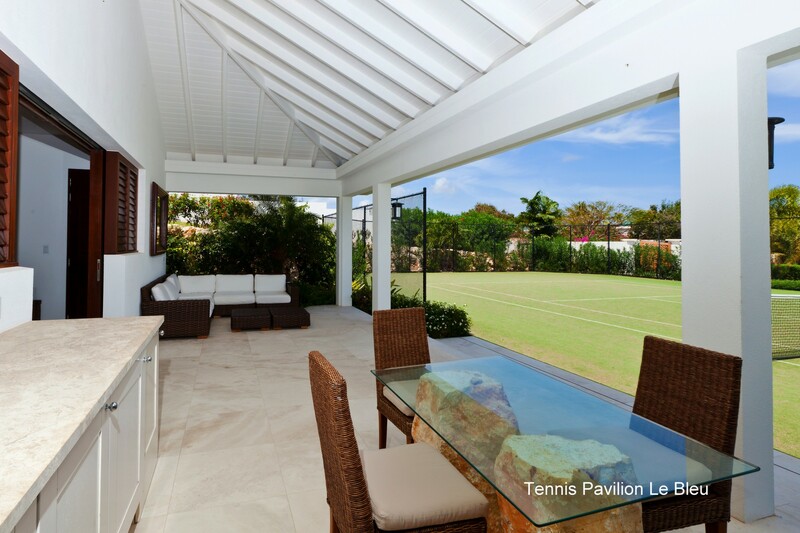 Le Bleu is simply a fabulous open style living space in a superb private location. 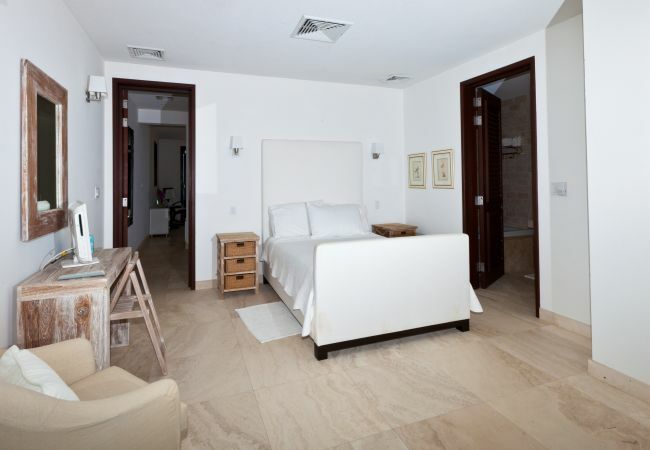 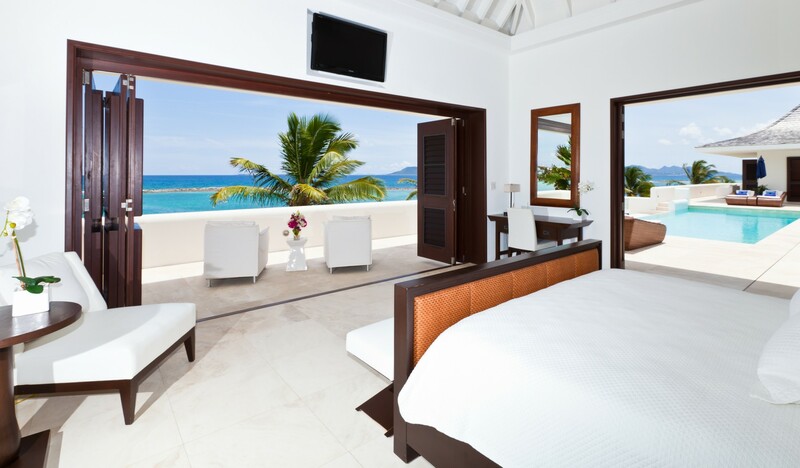 Facilities: Le Bleu accommodation and facilities are sited in 2 areas; Le Bleu and Petite Le Bleu. 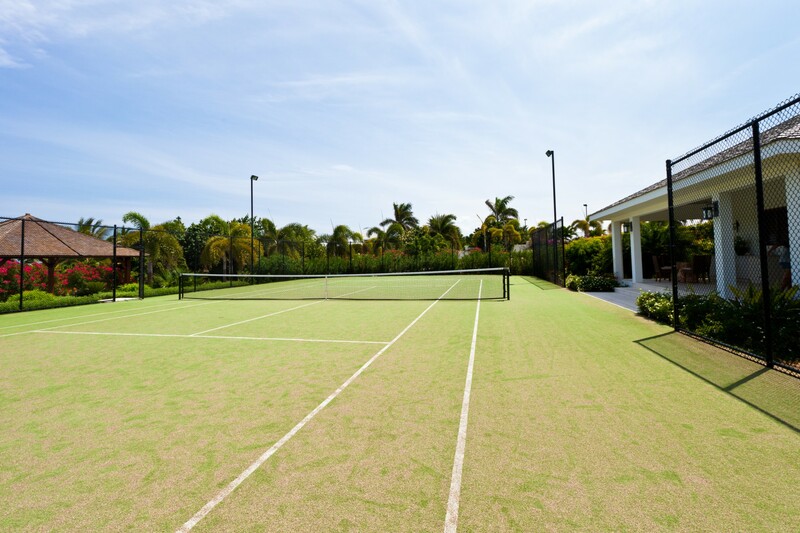 These areas are linked by attractive landscaped pathways which traverse the properties. 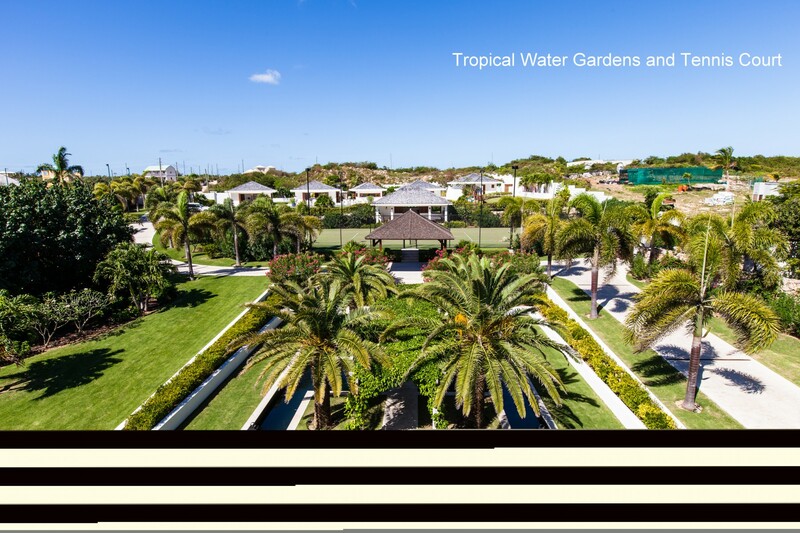 The spectacular communal living and entertaining areas are situated on the upper level of Le Bleu – which is accessed by walking through an exquisite water garden and ascending the imposing master staircase. - TV, Stereo, garden, garden furniture, terrace, barbecue, air-conditioned, private swimming pool.